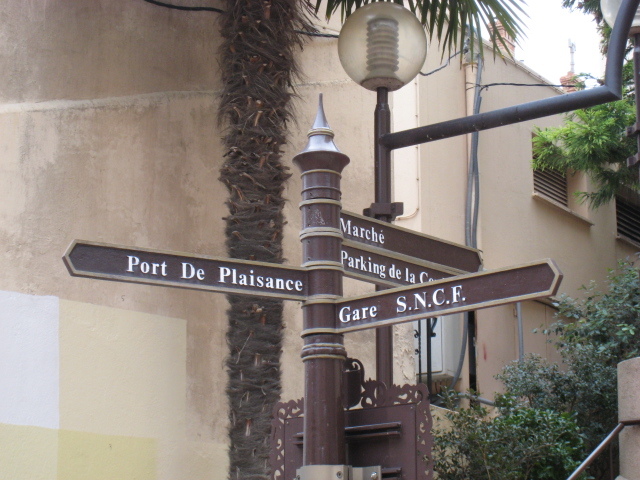 Monte Carlo Weekly Photo: Where to go? Monaco has many attractive sign posts - this one is in rue Princesse Caroline, which is the pedestrian street of Monaco. It leads from the port to rue Grimaldi.